The 2019 Honda Civic Sedan LX is the affordable compact family vehicle that packs a powerful punch, both under the hood and inside the comfortable cabin. Honda has become synonymous with quality. This is very evident in every part of this exceptional sedan. The exterior boasts a sleek and stylish design, while the interior is chock full of modern technology, safety, and comfort amenities. The team at Rock Honda is proud to put forth an impressive 2019 Honda Civic Sedan LX inventory near San Bernardino, CA and in the Inland Empire. Our exceptional sales team is on hand seven days a week to assist when you are ready to test drive a 2019 Honda Civic Sedan LX near San Bernardino, CA and near Rancho Cucamonga, CA. 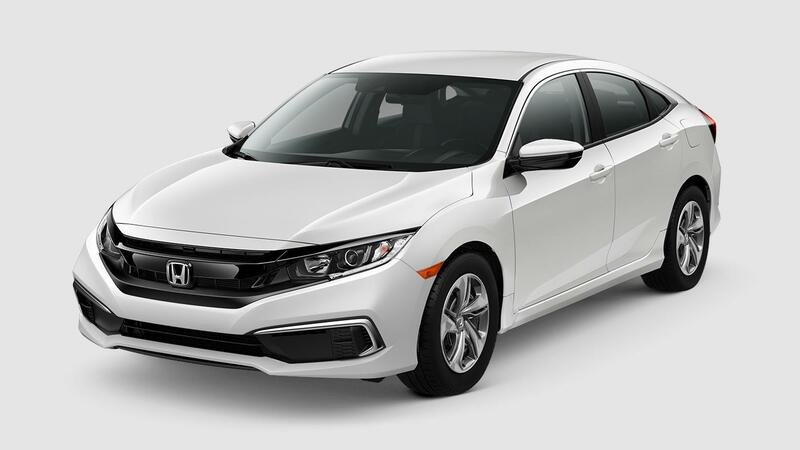 In-house financing with competitive rates makes us the go-to dealership to find a new 2019 Honda Civic Sedan LX for sale in Fontana, CA. The 2019 Honda Civic Sedan LX is full-to-the-brim with many popular standard features. These begin with a 5-inch touch screen color LCD screen that’s complete with Bluetooth® HandsFreeLink®. A 160 watt, four-speaker audio system is also standard equipment. As safety is always high on the priority list for Honda, several advanced safety features are included as standard equipment. Among these incredible features are a multi-view rearview camera, automatic high-beam headlights, and LED daytime running lights. Additional safety components, such as forward collision warning, road departure mitigation and adaptive cruise control are all part of the available Honda Sensing Safety Package. Extra cargo space is easily accessible, thanks to the standard fold-down rear seatback. The staff here at Rock Honda look forward to matching you with a new 2019 Honda Civic Sedan LX in Fontana, CA. Perhaps the biggest appeal of the 2019 Honda Civic Sedan LX is the legendary Honda reliability it offers. This is due, in part, to the robust and dependable 2.0-liter DOHC i-VTEC® four-cylinder engine that comes standard on the Civic LX. Whether you go with the included six-speed manual transmission or opt for the continuously variable automatic transmission, you can expect up to 158 horsepower and 138 lb.-ft. of torque. 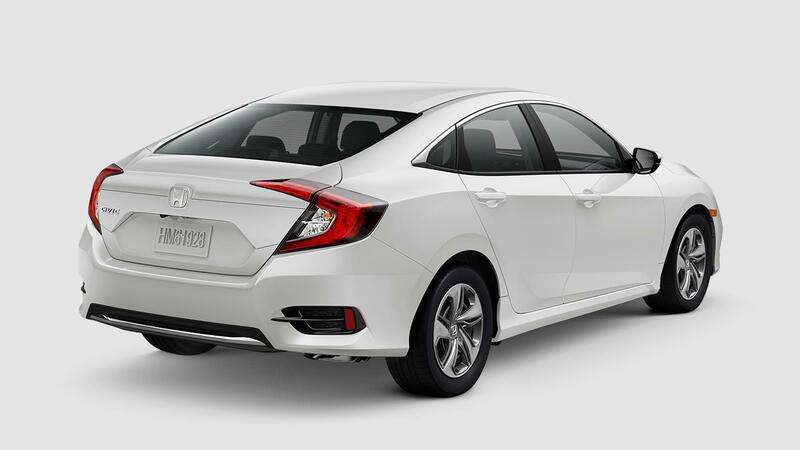 For your safety and convenience, Honda has added an electronic parking brake with automatic brake hold to each and every Civic LX that rolls off the assembly line. Stop by today and visit our team here at Rock Honda, and take a new 2019 Honda Civic Sedan LX for a drive around the block.